Calcium is very important to maintain your bones healthy. 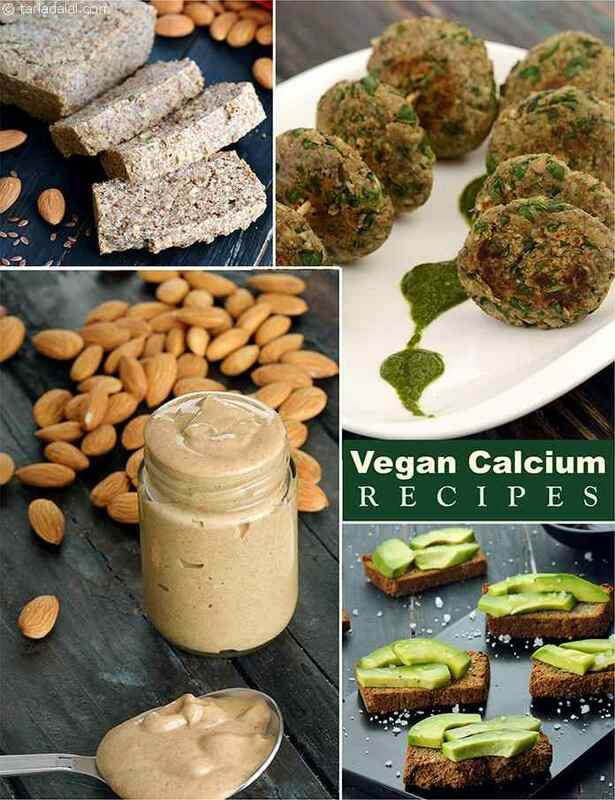 Vegan diet is usually low in calcium because calcium rich sources are milk and other dairy products. c. Amongst the cereals and pulses – whole ragi (nachni), ragi flour, rajma, chick peas, matki etc. Sprouted pulses are enhanced source of calcium. f. Dried figs, apricots, chia seeds, sesame seeds, garden cress seeds (subza) etc. But don’t you worry about your calcium intake because we have made a separate section for you vegans so that you don’t miss out your daily calcium dose which is approx. 400 mg. Try our calcium rich Teen Ratna Dal, Mini Nachni Pancake which is not only calcium rich but also loaded with protein. You can also try our recipe for Nachni and Onion Roti and pair up with your favourite curry and enjoy their tasty combination.